Did you know that if you have Mercury Payment Systems, you have a great feature you may not even know about? It’s MercuryStand-In. This service allows Mercury to safeguard you against network (credit card processing) outages. During stand-in, Mercury will approve all transactions up to the limit the merchant has. This makes sure that normal credit card outages don’t affect you or your bottom line. Non on Mercury for credit card services? Check them out – It’s who we use at SelbySoft! 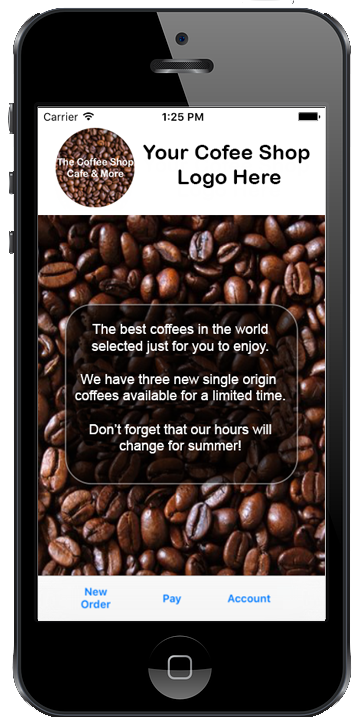 Last year we wrote about QR Codes and how to generate and use them in your coffee shop or cafe. Adding a QR code to the bottom of the receipt to can be a neat way to announce your cafe grand opening. I wrote about those here. I recently found out there there is an updated tool to generate QR codes that gives you more flexibility. You can find that tool by clicking here. Here is a sample receipt showing the use of a QR code. 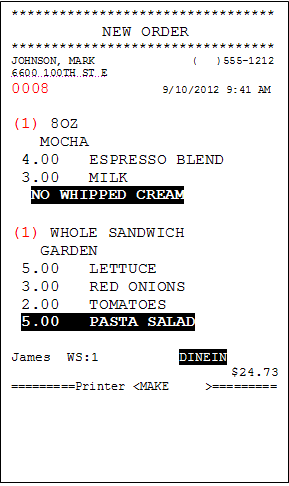 SelbySoft point of sale receipt showing a coupon for a coffee shop at the end of the ticket. .A great Point of Sale system is one of the most important pieces of equipment you will buy for your location. Think about this – Almost zero national chains skip POS when opening a new location. Starbucks, Peets, Caribou, and more all have point of sale systems in their stores. Why? I can tell you it’s not because they just enjoy spending money! It’s because they see the proven value of a good POS system when opening a coffee shop. Labor – keeping your labor costs under control is one of the biggest ways to save money. SP-1 for Coffee with help you stop early clock-ins. An extra 10 minutes at $10 an hour is $1.66 a shift. Multiple that by a couple shifts a week per employee and you could be paying $1,500 – $3,000 a year in extra wages. Take a deeper look and see how labor costs can be adjusted by viewing your on the fly labor percent. Gift & Loyalty – This is the number one way to help increase customer retention. Gift and prepaid cards help bring cash in the door and increase average dollar per ticket totals. Customer reward programs are proven to be effective when handled right. We have seen customers use the gift & loyalty program to reduce credit card charges as well as decrease the speed of service. Look & Feel – A cash register is not cool. Customers don’t trust them and they make your shop look inefficient and not quirky. There are all different types of equipment available for you to use. Wall mount options as well as counter options are available. We all see the thermal printers out there. Thermal can be great for receipts and for speed. They print fast and don’t need any ribbons or anything. If you have a kitchen, you may want to look at an impact printer instead. Because they have a red/black ribbon in them, the print color can be highlighted in different colors. That means the crew can see “No Onions” in red print. Another advantage is that the impact printers use plain paper instead of thermal paper. Plain paper is cheaper than the thermal paper you usually buy. Finally, the impact printers don’t turn black from heat. This makes them ideal for hot kitchen environments. Need a louder printer so your staff can hear when an order is up? Kitchen buzzers can help your staff hear when the order comes through. They work on both the impact and the thermal printers. 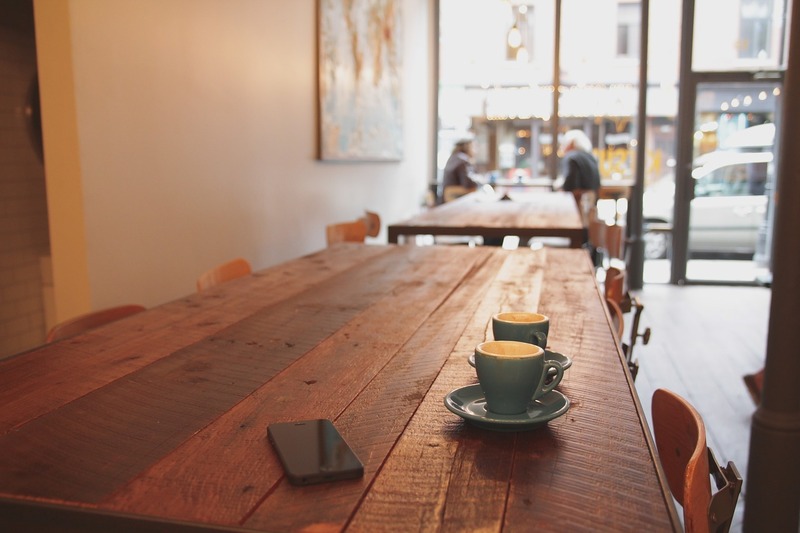 Barista or Kitchen monitors can make life much easier in a busy coffee shop or restaurant. Because we are working with a monitor, we can really have more features than a simple printed receipt or make ticket can provide. Let’s look at some of the benefits a monitor system can provide. First these monitors can be FAST. Because you can choose to have the order displayed in real time, the barista or cook can start the order as the customer is placing it. Perfect for getting a head start! See the forest and the trees! Monitors help staff focus on all orders as they come in. If a barista sees three mocha’s they can get those started at the same time. Stay on top of dine in vs to go. 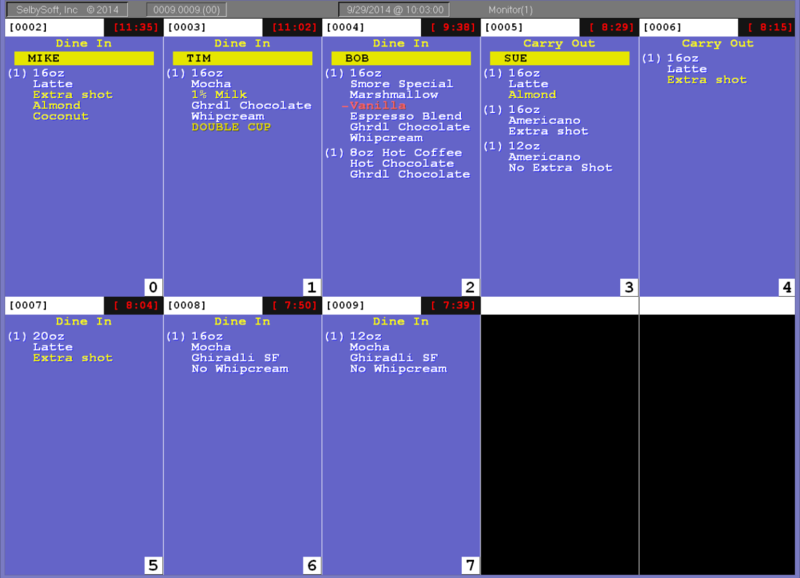 You can split the screen and show your dine in orders on the top and then the to go or drive thru orders on the bottom. This allows you to manage what orders you are focusing on. Move those impatient drive thru and to go people through faster. Double duty. 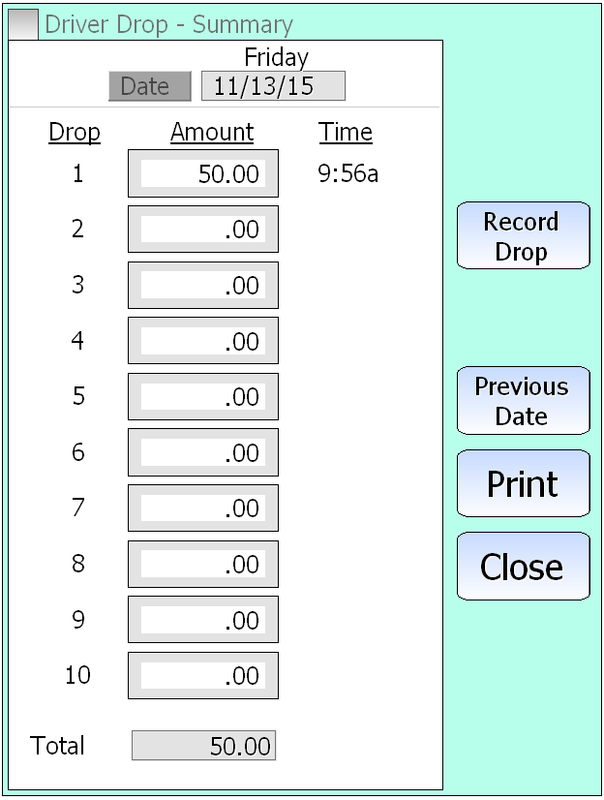 Instead of splitting the screen by order type, split it by item. Drinks on top and food on the bottom. Monitor speed. Because we display the time the order has been on the screen, it is easy to monitor the speed in which tickets are bumped from the monitor. This also allows you to make sure that you are not falling behind! SP-1 has a very powerful gift and rewards program that is 100% free. I thought I’d be fun to cover the three different options we have for rewards in the system. 1) Buy 10 get 1 free. There are a number of variations on this but the basic premise is that a customer gets one free drink for every ten they buy. Pros: The great thing about this is that it is simple and easy to explain. Your customers will feel that they are getting something free. The theory is that customers keep coming back as they have that next reward to look forward to. Cons? It’s only really available in one category. Also, it encourages customers to buy cheap drinks and then ask for a more expensive drink as their free one. That can actually be a pro however. We have customers that encourage the free drink to be something the customer does not normally try. 2) Points. This is a variation on the above. Instead of earning rewards based on the quantity of drinks purchased, it is based on the dollar amount purchased. Usually one point equals one dollar. For example – 35 points is a $3.50 drink. Pros: It stops the guys from buying $2.00 drip and then getting a $5.00 mocha. Also, you can have up to five levels of redemption. For example, 35 points is $3.50 off. $50 points is $3.50 drink and a muffin and so on. Finally, you can use this on more than one category. This is a more flexible version of the above. Cons: It’s difficult to explain quickly to customers. 3) Percent Back. This is a completely different thought. Instead of points or punches, customers earn a percentage back on each purchase. Usually 5%-10%. This cash back goes on the customer gift card for their next purchase. Pros: It’s free money to the customer. They can spend it whenever and however they like. This also keeps the customer thinking they have cash on their card. It’s pretty easy to explain as well. From a psychology standpoint, the customer is never getting a free drink. They are always purchasing it with their gift card money. This means you are rarely devaluing your product. Finally, you can easily change the percentage or end the reward at any time because the customer automatically has their money. With the other two methods it can be hard to end the program because the customers perceive that they are losing points or punches. Cons: They are never really seeing the “free” aspect of the reward. There you go! Give us a call and see it in action.